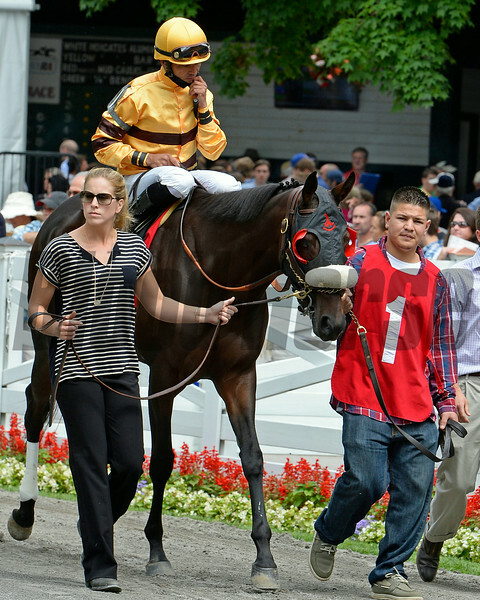 Caption: Enchanting Lisa (War Chant-Lisa Danielle) and half-sister to Hoy Wise Dan. takes second in the 5th at Saratoga with Chat (Dynaformer-Verbal, by Kingmambo) winning. Scenes at Saratoga Racetrack in Saratoga Springs, N.Y., on Aug. 23, 2014.